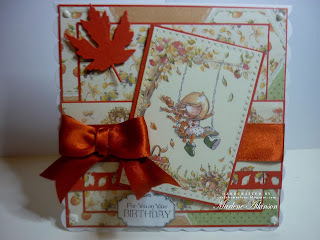 Mary is hosting our challenge and the theme is Autumn. That can be autumn colours, or autumn themes such as harvest or falling leaves etc. 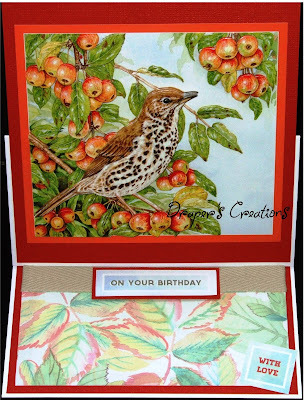 I made an easel card using left over pieces of printed paper for the base and a design from Jayne Netley Mayhew's Autumn Collection of decoupage sheets. 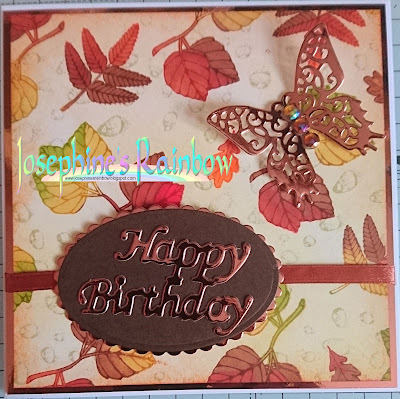 The background was stamped with a range of leaf images using a Kaleidoscope Autumn Leaves pad, and then coloured with Promarkers. 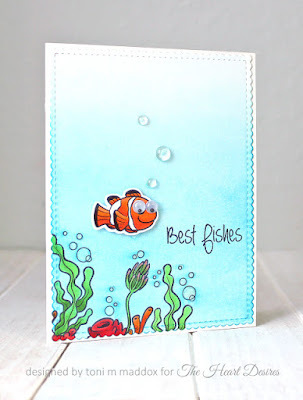 I tinted the background with Distress Ink to take away the pure whiteness of the card I'd used. 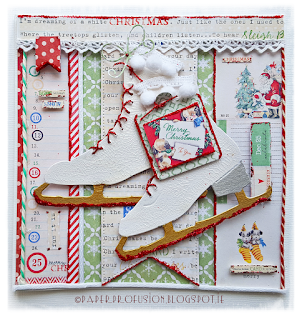 Die cuts and ribbon to embellish. I chose to use some of the colours of autumn for my challenge card. 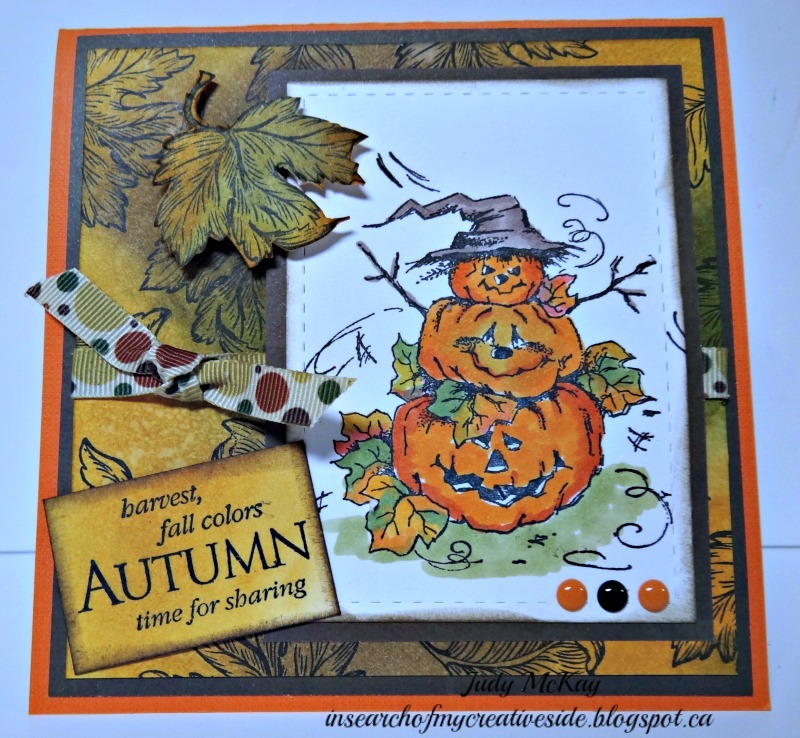 The image was coloured with Prismacolors markers and was accessorized with leaves, button and twine. The background paper was dry embossed. I made this card using several different techniques. 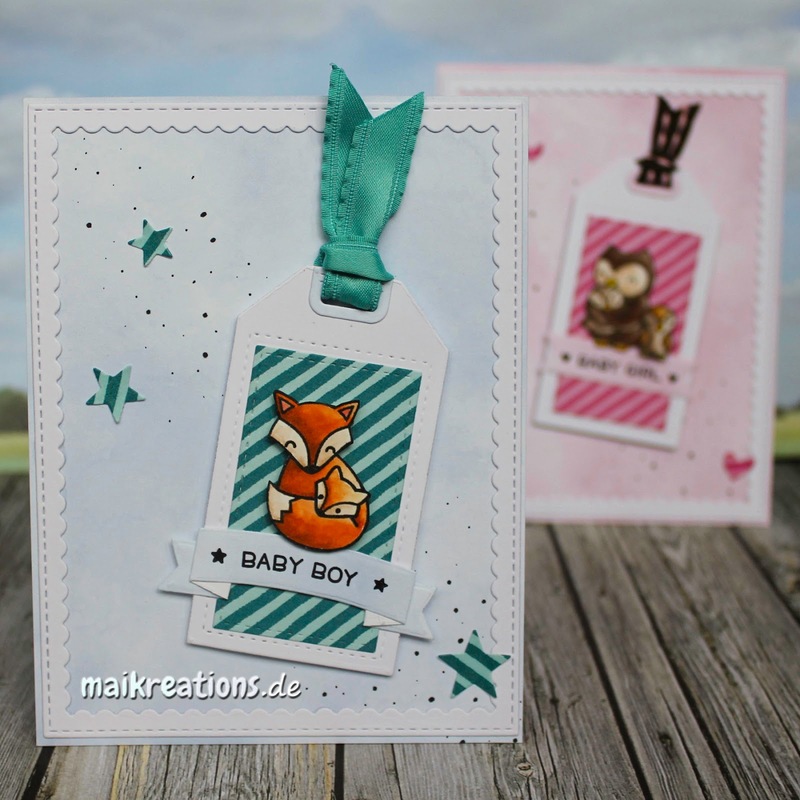 The rubber stamp I used is called Baby, Mama, Papa Boo by Stampassion and it was coloured with Copics. The background was created using some unmounted rubber stamps and Distress Inks. 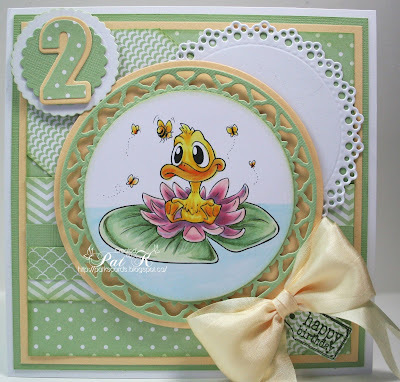 The sentiment stamp is by Hero Arts. I made a collage of Autumn coloured leaves with a sponged and stamped background addingvariegated cotton and button to finish. Made this using a stamped background paper which was die cut and used to decorate the black card, then splattered white paint onto it. 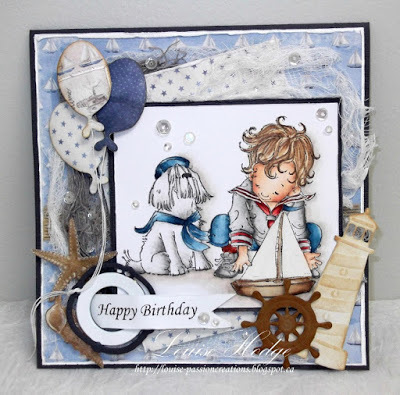 I used a journaling card die to make a topper. It's not obvious here but the leaves stand out slightly. Decorated with metallic gems to complete the design. This image is Fall Angel by Mayumi Ogihara. I colored her with copics and embossed the card background using a die. I offset the orange and the image to create interest. 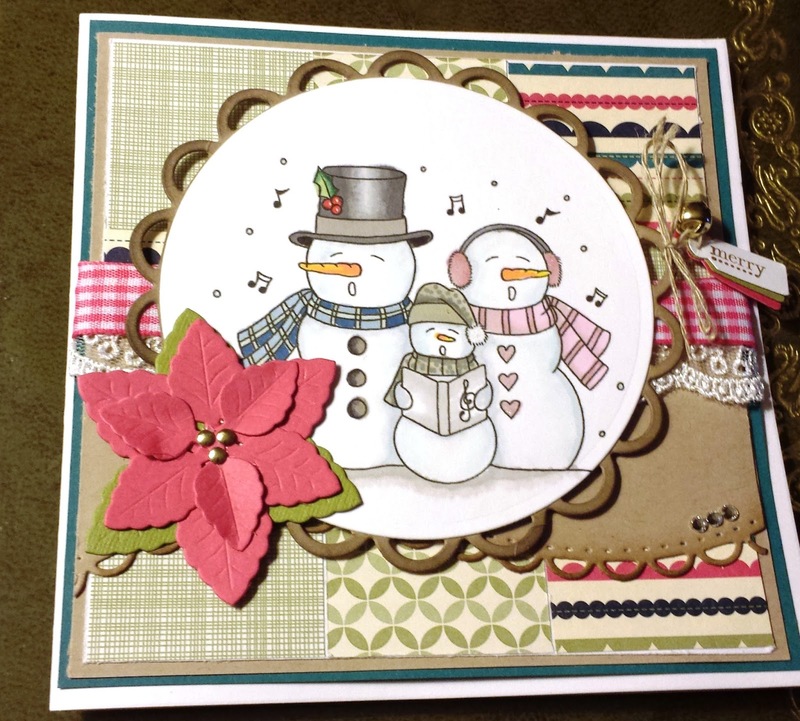 The die cut leaves and sentiment banner are from my stash junk drawer. For my Autumn themed card I have used some leaf stamps from Hobby Art, watercolours and a wood grain effect embossing folder. 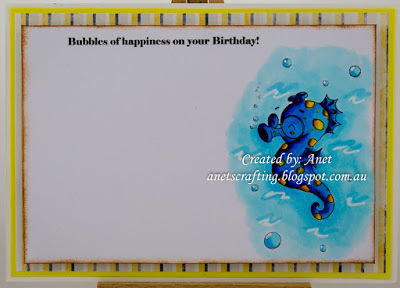 I created the background paper myself using an old but beloved stamp from a German company. 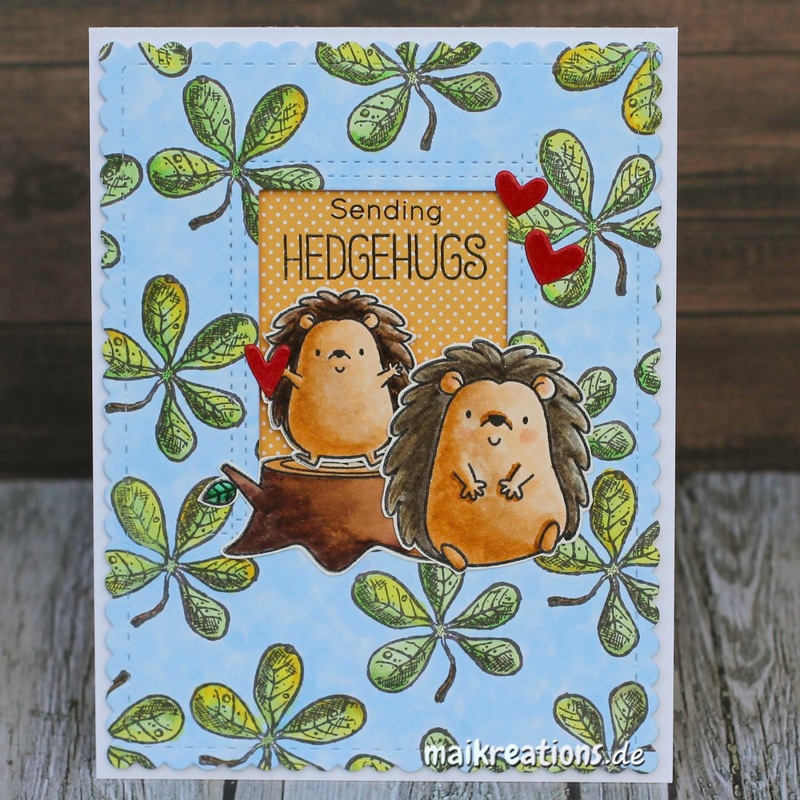 The cute Hedgehogs are from a new set by My Favorite Things. 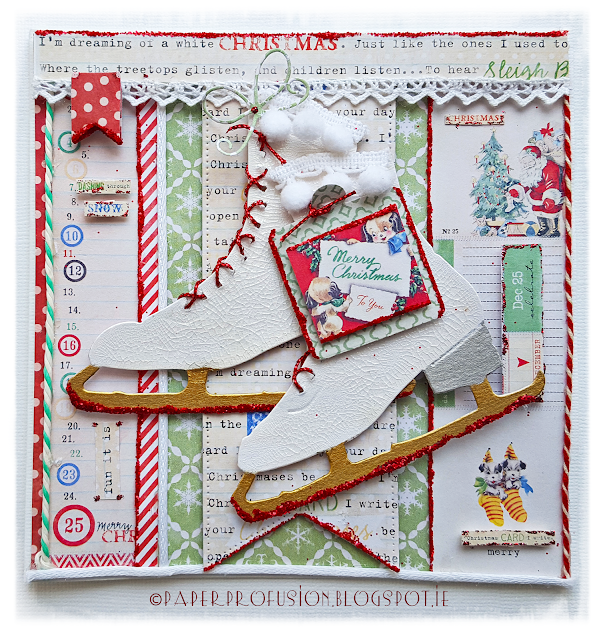 Marlene is hosting our Layer It Up challenge. Lots of layers please!!! I've used several techniques in this card: The background is coloured with Promarkers and Distress Inks, and I've used various die cuts and a Spirelli-type accent, and layered everything! An engagement card I made with six layers counting the ribbon and flowers. 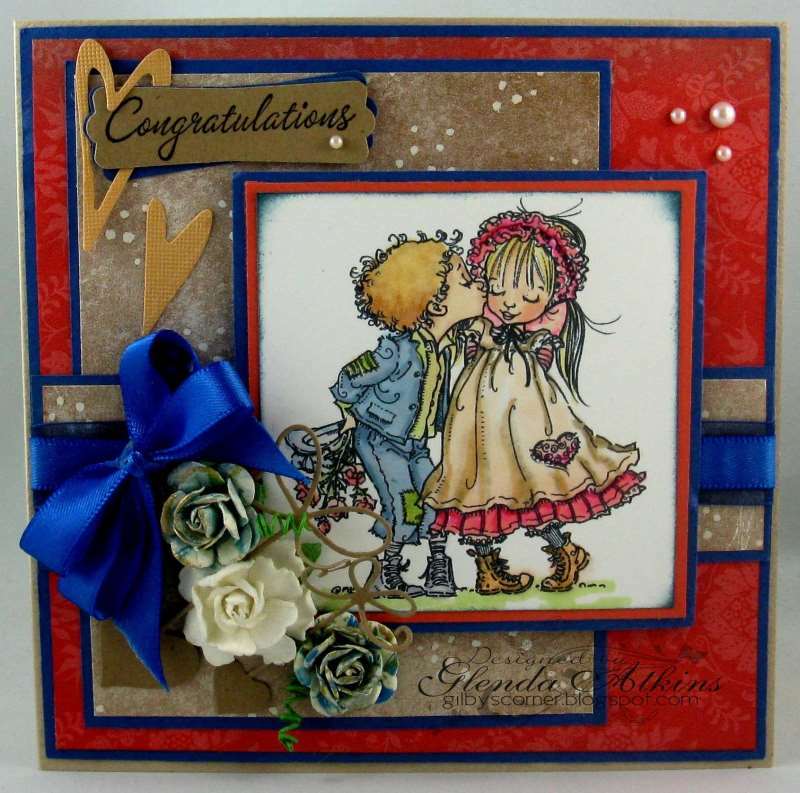 I love making layered cards and I particularly love this one as it was for a dearly loved couple. 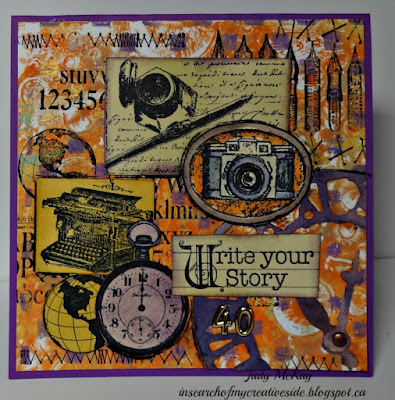 I have used a piece of my gell print paper from my stash that is in yellows, purple, white and gold for my background and I used several rubber stamps over the gell print to give the card interest and texture. My final layers were the added images that I stamped, inked, coloured and die cut or cut to create the top layers. I used several sheets of the same design from Hunkydory's Little Book of Winter Wildlife and cut out varying amounts to create a decoupaged image. 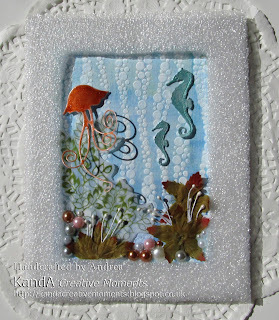 I also layered several ovals to create a base for my sentiment. 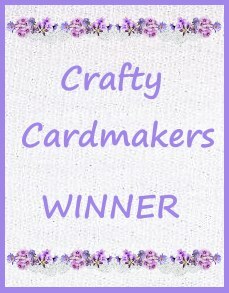 I used a pre cut sheet of flowers for my layers popping each piece backing it and inking my card stock with a hydrangea stamp to match. 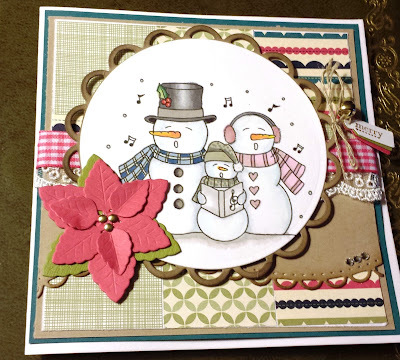 Lots of layers are not usually my thing - so I have used a card I made at a stampin up class, using all their materials, dies and stamps. The image was coloured with promarkers. 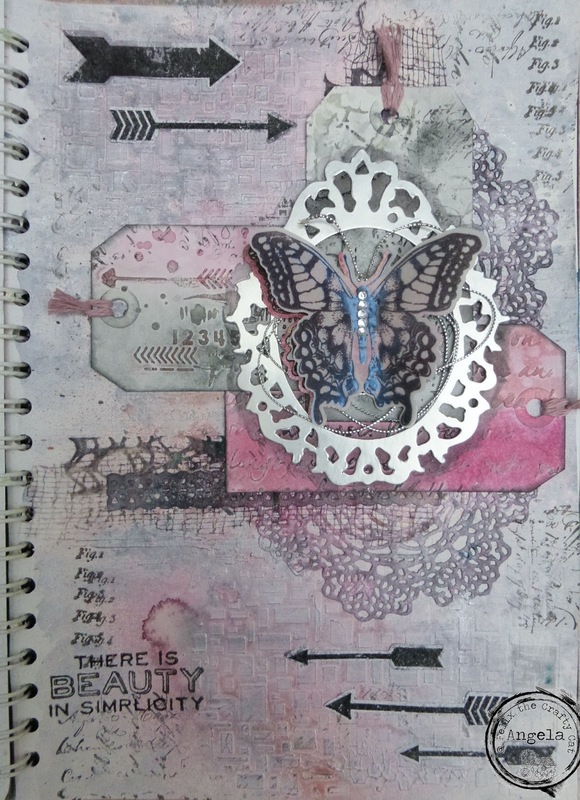 Just for a change I've been working in my journal. 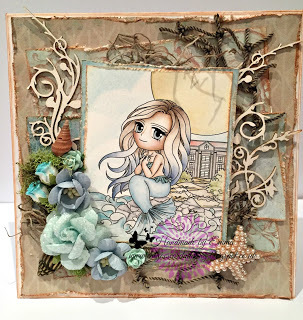 There are so many layers here starting with stencils and pieces of lace and net, then doilies cut with Tim Holtz dies, decorated tags and the butterfly set in a frame. 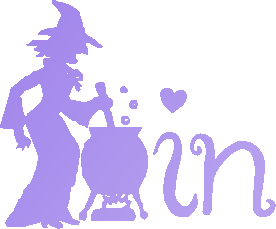 Lots of details of how I made this can be found on my blog. 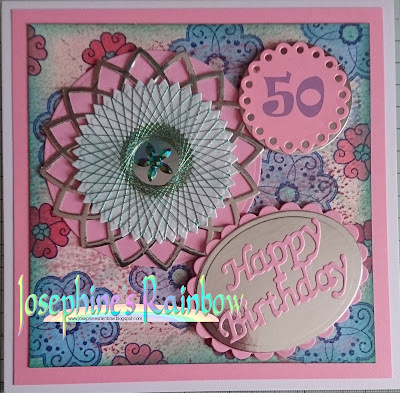 Layers and layers of circles created this cheery little birthday card. The image and sentiment are from Jane's Doodles, Garden Friends. 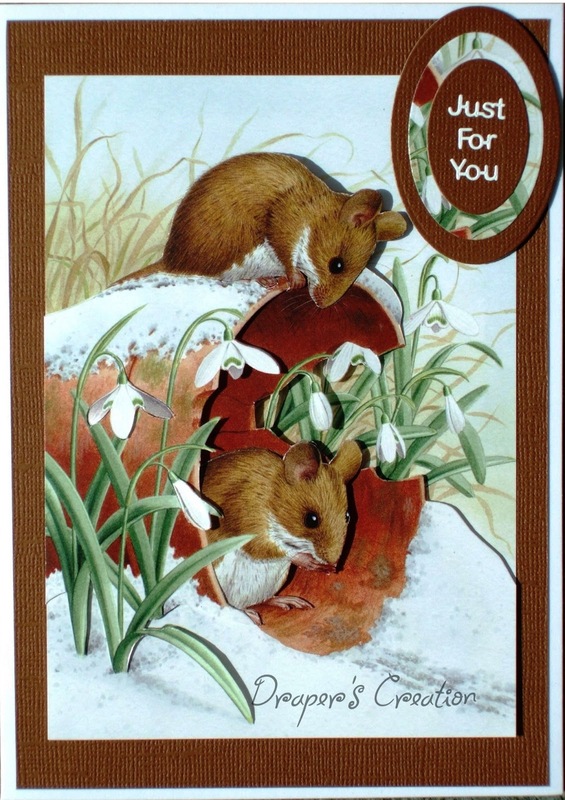 I have used all left overs for this card to celebrate Father's Day here in Australia. About six layers all popped up on foam dots. If you count the frame I have put six layers on this card ;o) It was a lot of fun to think about the different levels on the card and I really like the dimension!